Homeowners have many things to think about, and one of those most commonly overlooked is the maintenance of their gutters. If properly maintained, your gutter system should last for about 30 years, but if neglected your gutter system could cost you a lot of money. That is why gutter cleaning in Chicago is so important to maintain the integrity of your home. Proper water flow is an essential part of your house, and the roof is designed to ensure that water flows in the proper direction and doesn’t pool. Backed up and clogged gutters can disrupt or completely change the way water flows from your roof to the ground, potentially causing a number of costly damages. 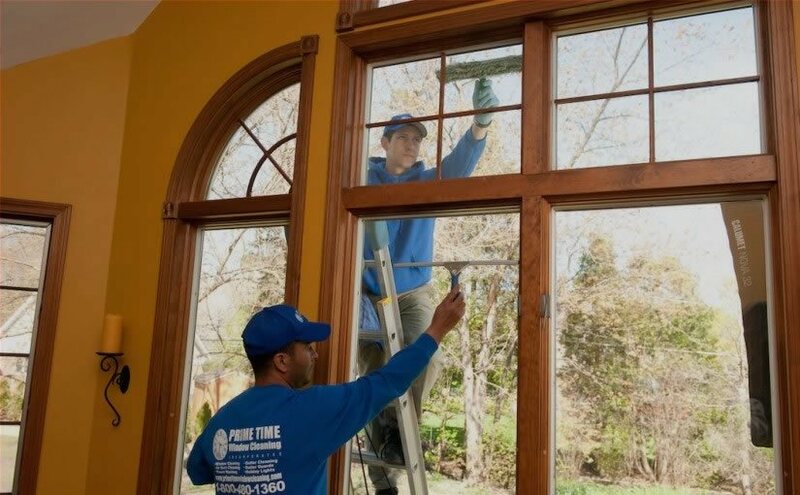 At Prime Time Window Washing we provide the best gutter cleaning in Chicago, and we know that with proper gutter maintenance you can save yourself a lot of money by avoiding the following problems. .
Foundation repair – Without a properly working gutter system, rainwater collects around the foundation and excessive moisture can lead to damage and costly repairs. Foundation repair bills can easily run $40,000 or more, and it’s nearly impossible to sell a house that has a compromised foundation. Exterior damage – Water pouring down the side of your house can soak into fascia boards and siding, leading to expensive repair costs. Mold and mildew – Anytime you have unwanted water, you have the potential for mildew and mold. Getting rid of them can mean more money out of your pocket. 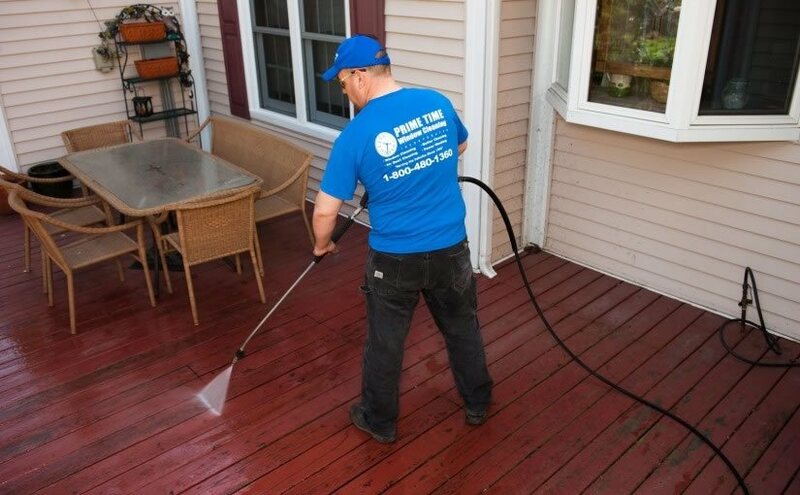 Accumulated gunk – Over time, leaves and twigs left in your gutters can decompose, turning into a thick gunk that’s difficult to remove. It can also corrode metal gutters and shorten their lifespan. Flooded basement – Water flowing to the wrong places can make its way into your basement, ruining flooring and carpeting and possibly weakening the basement foundation. Ruined landscape – Excessive amounts of water collecting in your flowerbeds can destroy the plants you’ve spent time and money nurturing. Unwanted pests – Gutters are a natural haven for birds that build nests in jammed gutters. That, in turn, can lead to problems such as roof damage and insect infestations. Mosquitoes, possibly carrying diseases like the West Nile or Zika viruses, can breed in pools of water standing in clogged gutters. The best way to avoid these problems and expenses is by emailing or calling Prime Time Window Cleaning today at 800-480-1360. We provide premier gutter cleaning in Chicago, and we want to help you preserve your gutters and keep money in your pocket.